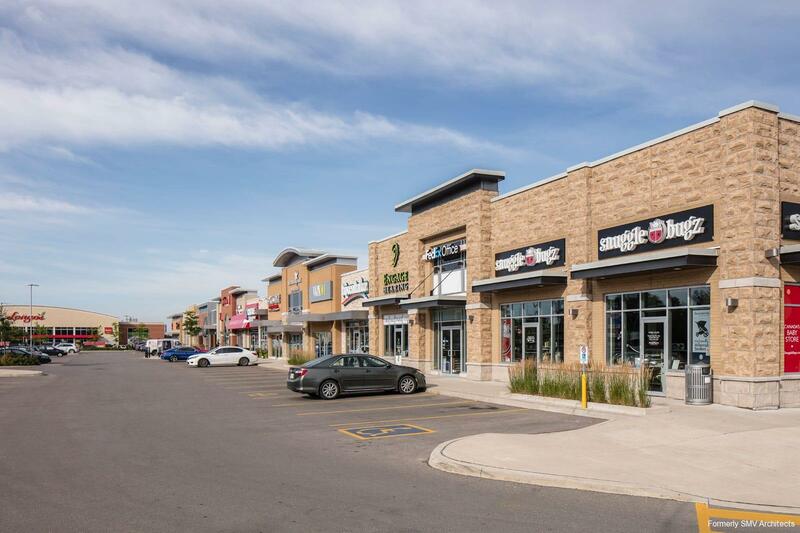 First Capital Realty is known for highly-selective and strategic retail locations, functional designs, thoughtful tenant mix, and commitment to excellence in property operations. This development site was in a desirable suburban neighbourhood with significant new residential construction planned, but presented a planning and design challenge. Our task was to achieve the full potential of the awkward, triangular, nine-acre plot sandwiched between a major street and CN Railway Lands, which required special consideration with respect to the building setback. Their goal was to develop a single-storey retail plaza with a minimum GFA of 100,000 sf. Through careful configuration of the building footprint, we delivered 11,200 sf per acre of GFA. 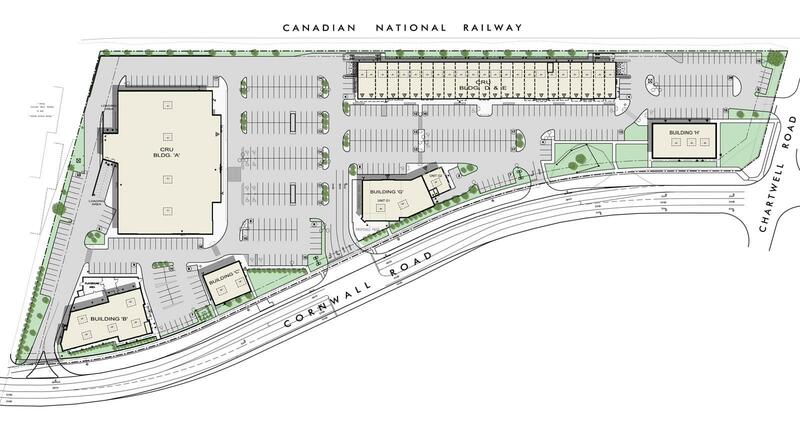 A narrow multi-tenant plaza, accommodating 22 retailers, was placed along the rail lands at rear. Next, we positioned four pad buildings ranging from 3,600 sf to 9,800 sf along the street edge, along with landscaping. 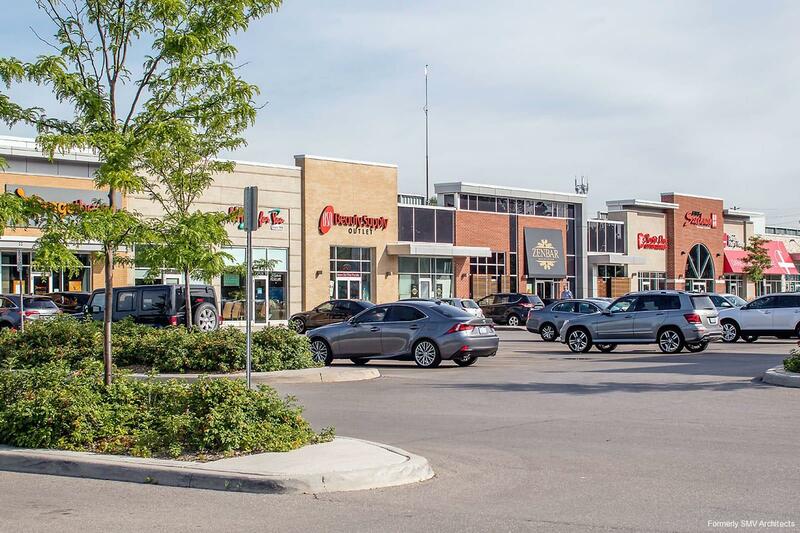 This placement broke up the parking area, establishing a strong retail image and pleasant old-town rhythm that appealed to major tenants including a bank, grocer, daycare, and restaurant. Close collaboration with municipal authorities throughout the approval process enabled us to deliver on time and on budget while fully achieving the site’s potential, meeting our client’s business goals and creating a go-to place for the affluent community.